1. Enter Quick Sketch Mode. 4. In the Texture palette use The Grab Doc button to convert the image into a texture. 5. In the Alpha palette, convert the texture into an alpha. 6. Increase the Alpha Intensity and possibly the Contrast. 7. Make a Stencil from the alpha. 8. Turn off alpha and textures. 9. 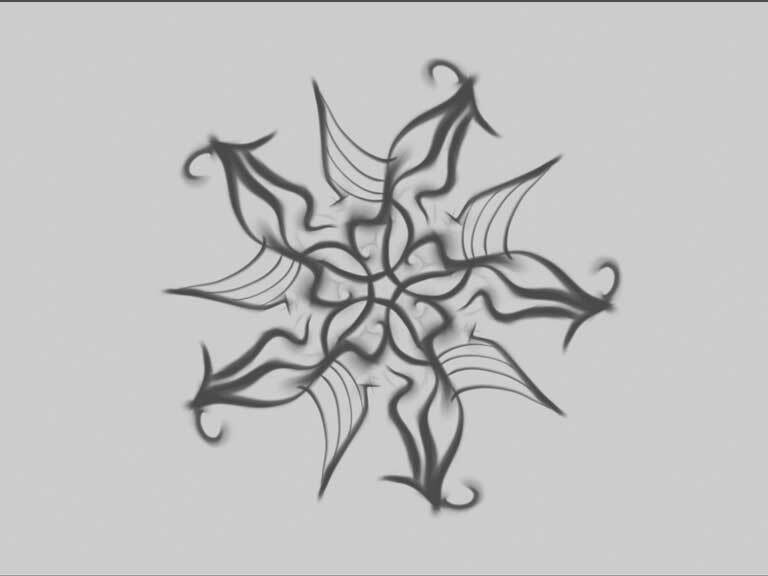 Use the stencil to create an elaborate engraving on the surface. 2. Turn on Noise under the Tool > Surface sub-palette. 5. 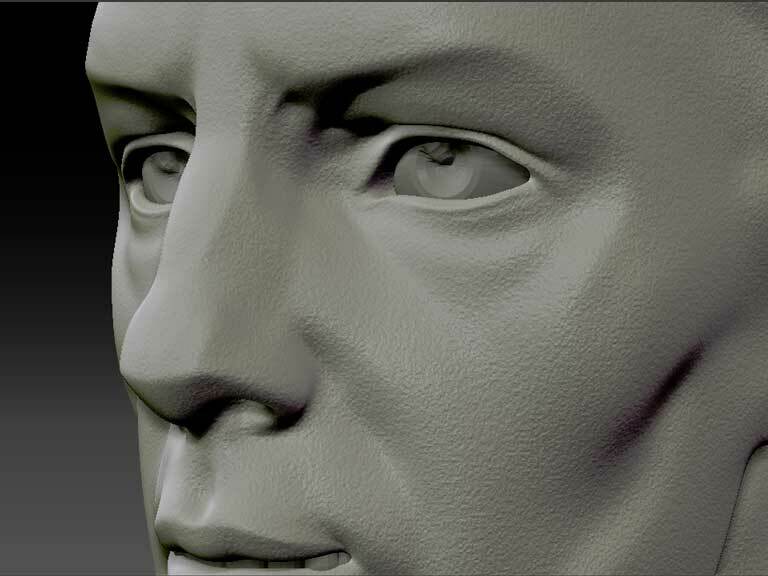 Press the Tool > Surface > Apply to Mesh button to apply the noise to the model. 6. From the Brushes palette, choose the SmoothPeaks brush. 7. Hold the Shift key and set the Z Intensity to around 25. 8. 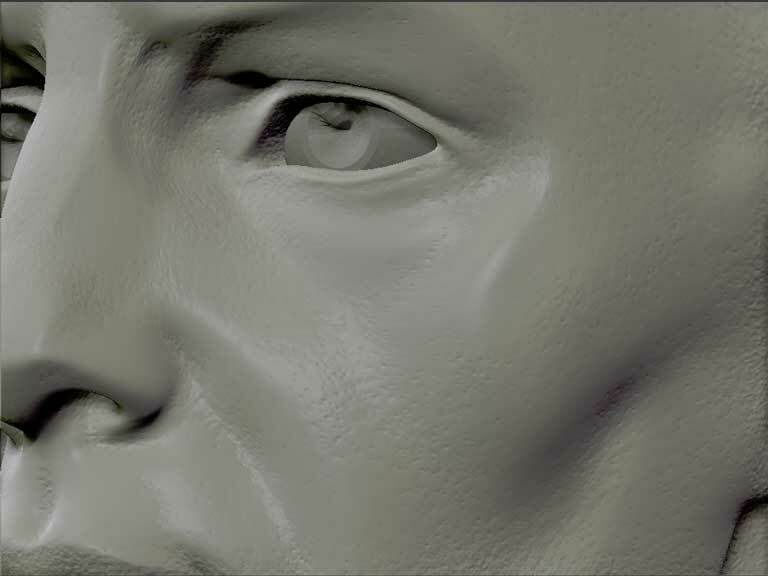 Hold the Shift key and paint on the model to create a nice skin pore texture. You may want to repeat this process several times while working on the sculpture. Use Masking to limit the noise texture to parts of the face where skin pores are more prominent. Works great for hilts of swords and armor. 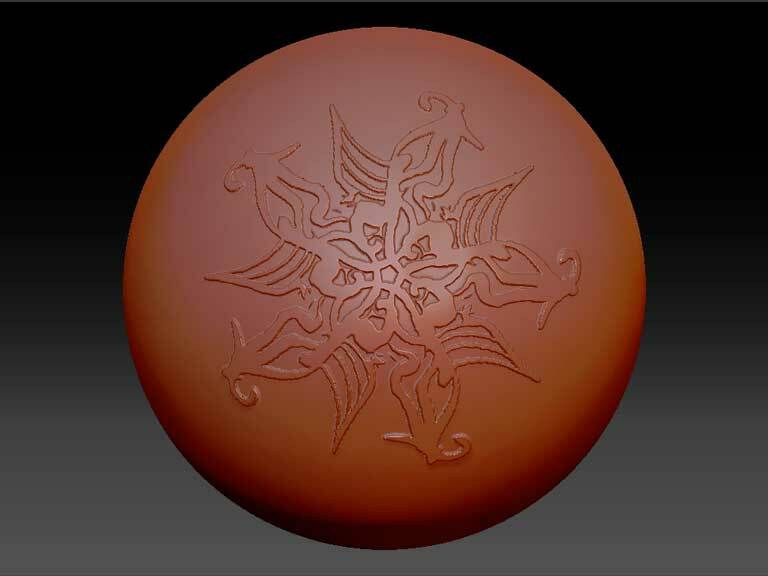 Layer brush works well for sculpting the design into the mesh.